This is really starting to feel like a job. SOME of my readers, you know who you are, feel that I have not been posting enough. While I secretly agree with them, I don't negotiate with terrorists. So there! I'm standing my ground. This is me not giving in and posting on my blog. Aren't I doing great??? Well, enough of that childish drama. I will not throw the "you kids!" comment, that I often heard throughout my childhood when I was perfectly innocent, at all of my readers. A lot of you are supportive, and not at all Aretha Franklin esk, and for that I will continue. This isn't one of the best fast food chains, Chick-Fil-A, after all. There will be no protesting. As I had last posted, Matt & I are headed on an Eastern Caribbean cruise aboard Disney's newest (and biggest) ship, the Fantasy, in just 50 days!! We are so excited! Matt displays his excitement by not thinking about it. Talk about fun. He says that if he thinks about the trip it takes too long for it to come. Myself, on the other hand, I feel that the countdown and planning is half the fun and excitement. Luckily, I do happen to have a travel blog to get all my thoughts and excitement shared with SOMEONE ... even if it is some stranger sitting in front of their computer, probably eating chips, therefore there's grease all over their mouse. They probably don't have air conditioning so they have one of those creaking, oscillating fans. You know, the ones with the three inches of dust caked on the grates. They're probably wearing a wife beater or if it's a woman, one of those long grandma nightgowns with zipper for a mile; inevitably smoking a cigarette. And while this creeper seems to have no care for personal hygiene and general upkeep at all, they are, without a doubt, holding a can of beer in one of those can koozies to be sure their brew stays nice and cold and no sweat stains appear on their pressed wood, laminate covered, "oak" computer desk. The same cannot be said about the wife beater. Therefore, who needs a husband to talk about every waking detail of our upcoming vacation? I've got Butch to share it with... and Deloris too. Last I told you our cruise leaves on October 6th, however, Matt and I will be heading out Friday evening, October 5th. I don't ever like to fly in on the day my cruise is leaving. One Alec Baldwin tarmac freak out later and we've missed the ship! No, thank you. I put a lot of thought into where we'd stay the night before. Seriously. A lot of thought! Ask Butch. I thought about renting a car and driving over to the port and staying there, I thought about renting a car and driving to Vero Beach where Disney Vacation Club has a resort that I'll probably never visit, I thought about staying at Disney, etc. In the end I found that our best and most convenient option is to stay at the hotel right in the airport and then using Disney's shuttle full of antsy children, whose parents don't believe in spanking and don't keep score at little league games so that there is no looser. Should be AWESOME!!! By taking Disney's transportation we will be one of the first to board the ship and we will be making a beeline to the adult only deck to rid myself of the twitch that I will have developed from the 45 minutes from hell bus ride. I still haven't book our flight since JetBlue are being brats and trying to make a profit. Can you believe it? The airfare is higher than I'm used to paying so I'm holding out for a sale. It's not insanely high so soon if I don't see it drop, I'll pull the trigger and shoot Alec Baldwin buy the tickets. The flight I'm looking at gets us to MCO, don't get me ranting AGAIN about airport codes, at about 9:30pm. So really we'll probably just head to bed or maybe go for a swim if the pool is open late enough. Our flight home will be on Sunday, October 14. We're going for a later flight so that we can get as much time in at Food and Wine Festival as we can. 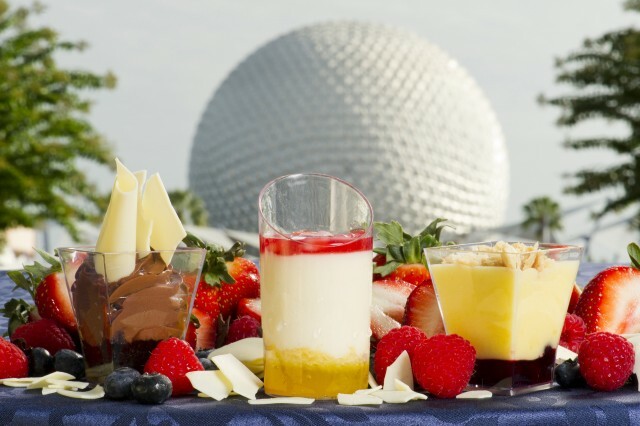 If you remember, we're getting off the ship early Saturday morning and heading to the Beach Club villas for one night so that we can have two days of Food and Wine Festival fun. Deloris can fill you in on the details if you've forgotten. A taste of Food and Wine Festival...pun intended. Well, I think that's enough for one post. Since I have some really demanding readers, I'm gonna have to start posting more often, which means I've gotta save some stuff, otherwise God only knows what my blog would look like. Maybe it'd look like that incredibly long run-on sentence that I just subjected you to. Deloris, hmm, reminds me of a seinfeld character. Mulva! !